This Sunday 17 June, from 9am till 1.30pm several venues and major roads will be temporarily closed off to traffic, which is bound to have repercussions on several districts in the Brussels region. Further to consultation with Brussels Mobilité, the STIB and Police departments, all measures have been taken to inform the public both ahead of time and in real time. • Screens at the entrances to various tunnels in Brussels are already announcing the event. • An interactive map is available hereunder. • Real time information will be given via twitter @zpz_polbru. • On the day of the race, the organising team can be reached on +32 (0)2/318.64.70. • Information on the many park-and-ride facilities is already available on www.mobilite-mobiliteit.brussels. • Boulevard du Centenaire, between Place Louis Steens and the Square de l’Atomium on Saturday 16 and Sunday 17. • Place des Palais: Sunday 17 from 6.00 am to 1.00 pm. • Tunnel Belliard (*), Avenue de Tervuren (*), Boulevard du Souverain, Boulevard Général Jacques, Boulevard Auguste Reyers, Boulevard Lambermont, Avenue Van Praet, Avenue du Parc Royal, A12 motorway exits to Brussels: Sunday 17 from 9.00 am to 1.30 pm. NB: Tunnel Tervuren will only be closed to traffic heading towards Tervuren, and Tunnel Montgomery will only be closed to traffic heading towards Reyers. The Montgomery roundabout will remain open. Roads will remain closed while the cyclists are passing through. Roads will be opened up gradually once the last cyclists and the sweep vehicle have passed through. Please find all details of closures for each section of the route. The inner ring road tunnels will also remain open. Parking will be prohibited along all the roads used as a race course. Many deviations will be set up to redirect road users as well as possible. However we strongly recommend avoiding driving in Brussels this Sunday between 9.00 am and 1.30 pm. It is much preferable to use other means of transport. • The STIB: NB deviations and truncations have been planned on some lines because of the race. Please find more information on www.stib-mivb.be. • Trains: To get to the City Centre, this is probably the easiest solution. All useful information is to be found on the SNCB website: www.belgianrail.be. • The De Lijn and TEC networks: www.delijn.be and www.infotec.be. • Cycling is highly appropriate on this of all days. For those wishing to attend the event and view the finish, a secure bike park, handled by Le Gracq, will be available near the finishing line, by the Atomium, at Bikecity (at the arrival). 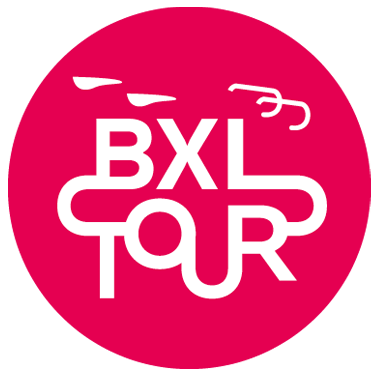 See interactive map of the route of the BXL TOUR 2018. See pdf of the route of the BXL TOUR 2018. Schedule of the mobility plan of the course.